For golfers who have struggled with coming over the top in their golf swing, hitting a straight golf shot or a draw seems like voodoo magic. When you swing over the top in the golf swing, the club face is coming down on a steeper swing plane and this causes it to not want to naturally rotate to square the club face at impact, making the over the top slice worse. The fix to coming over the top in the golf swing is to learn how to sequence your golf swing properly and learn how to use your left arm rather than being so dominant with your right. Yep, most tour players swing on plane because of these two things that you're NOT doing correctly in your golf swing now! So, if you want to stop coming over the top, watch this online golf instruction video and learn the RotarySwing.com way to swing on plane! 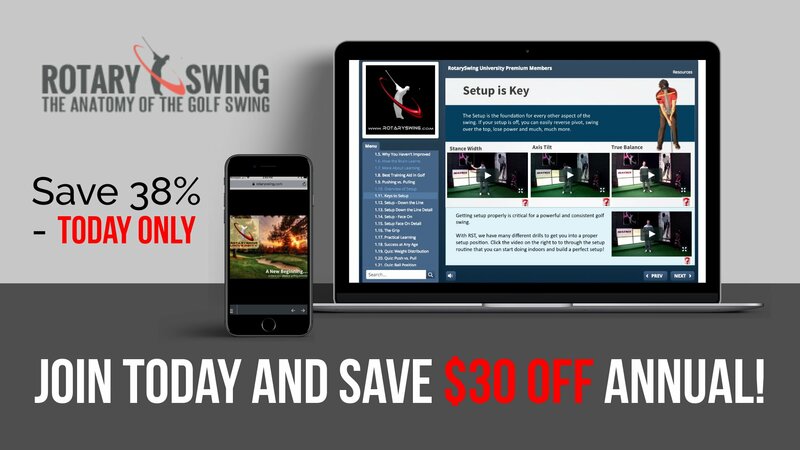 Get Your Free Membership to Finish Watching "Stop Coming Over the Top in the Golf Swing and Slicing" Right Now!